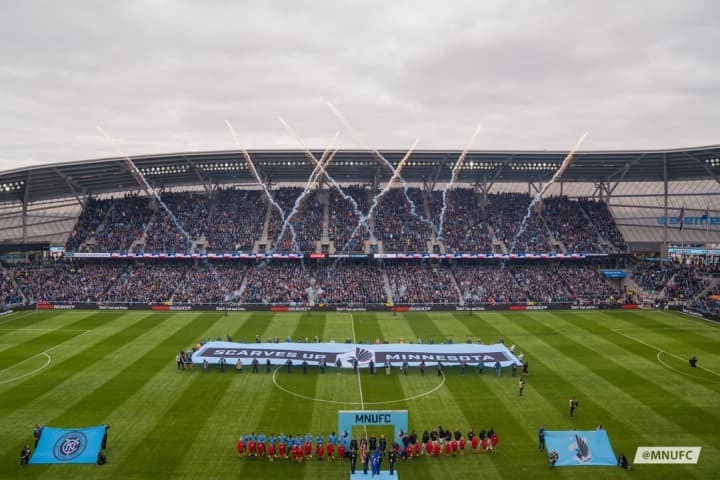 Minnesota United christened Allianz Field on Saturday after drawing 3-3 with New York City FC under the lights at its new Major League Soccer (MLS) home. 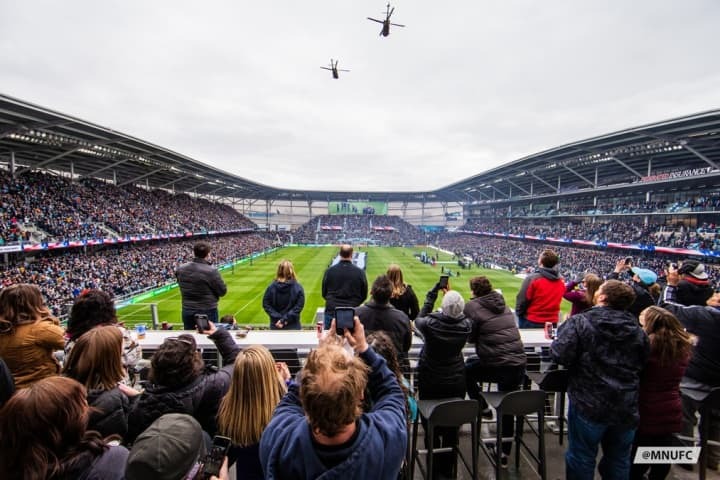 The latest football-specific stadium in the league officially opened its doors last month for an unveiling ceremony, while this weekend marked the team’s first home game at the 19,400-seat venue. The $250m (£189m/€220m) stadium in Saint Paul broke ground in June 2017 and was turned over to the club from construction manager Mortenson in February. The MLS club had previously been playing its games at TCF Bank Stadium, home to the University of Minnesota’s Golden Gophers American football team. During its final season at this venue, United averaged attendances of 23,902. An over-capacity crowd of 19,796 watched Saturday’s game. This was made possible through 700 standing-room-only tickets being provided per match. Allianz Field has a standing-only section, holding up to 2,920 fans in the south end of the stadium, which it hopes will become the loudest section.